Most bathrooms may be small, but they're an important part of the home. Upgrading the bathroom before selling can make a property more attractive to buyers. Some bathroom improvements can even help boost property values and may lead to a bigger sale price. Mismatched towels, rugs and curtains can detract from the attractiveness of bathroom. Picking a fresh new color scheme and redecorating the bathroom to match that scheme can help unify the space and make it pop. Choose a theme. Picking a theme for your bathroom can give you a starting point when it's time to decorate. Paint the walls. Painting the walls can make the bathroom look fresh and clean. When choosing a color for your bathroom, select one that goes with the theme or pick a neutral like beige or gray. Buy matching towels and curtains. Matching towels and curtains can help pull the decorating scheme of the bathroom together. Clutter can make a bathroom appear small and claustrophobic. To get rid of the clutter in your bathroom, install attractive storage. A small cabinet, open shelving lined with attractive baskets and a new towel bin are all examples of smart storage that can make your bathroom look tidy when buyers come to your home. Hard water scale can build up on fixtures with time. Removing the scale can make your fixtures look new and beautiful once again. Vinegar is one of the most powerful and effective cleaning agents against hard water scale. To remove hard water scale on a fixture, wrap the fixture in paper towels soaked with vinegar, then wrap the paper towels with plastic bags to hold the moisture in place. Leave the vinegar-soaked towels on the scale for an hour or more, then remove the towels and wipe away the scale with a scrub brush. Buyers typically love eco-friendly features, and a low flow shower head is an easy fixture to install. You can buy a low flow shower head at your local home improvement center. Once you've made your purchase, simply unscrew your old shower head and screw on the low flow shower head. 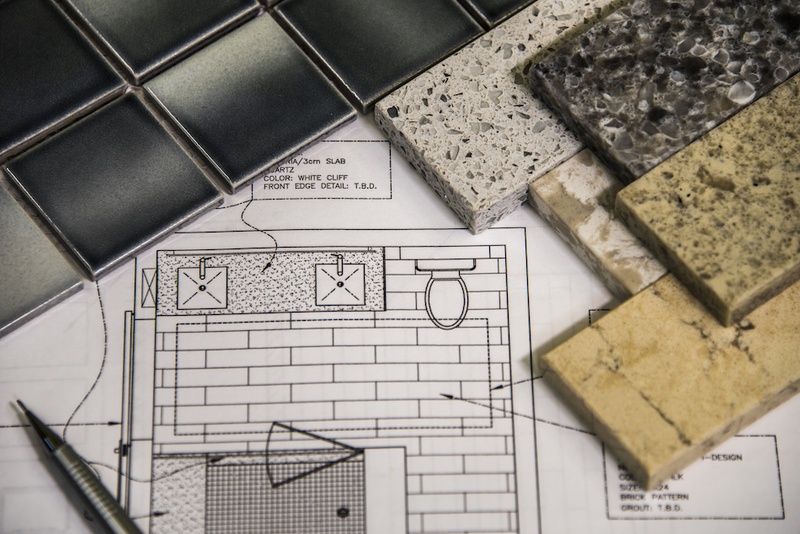 A reputable real estate agent will be able to give you instructions regarding ways to redecorate and remodel your bathroom. If you're thinking about selling your house this year, it's wise to start taking steps immediately to begin the process. Contact a real estate agent now as you prepare your bathroom and the rest of your house for sale.